Two pairs of woman elegant socks made of soft and strong yarns. 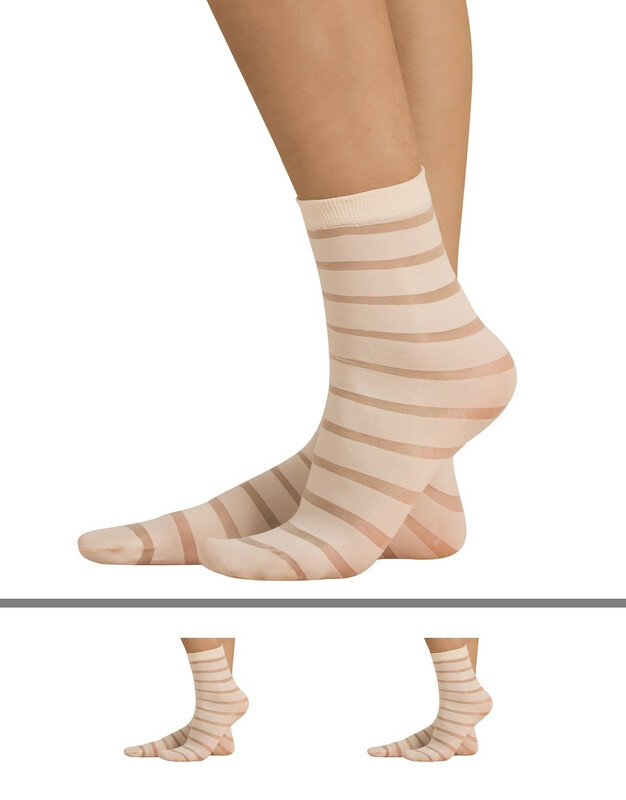 A delicate pale pink paints these ankle socks with horizontal stripes created by the contrast between opaque and transparent parts. Comfortable socks which fit every look and provide a unique style.